Designed to be used for all types of construction above and below dpc level, independently or in conjunction with dense aggregate blocks. The aggregates used in the manufacturing process provide density, strength and thermal conductivity values, which are compatible with the majority of dense concrete blocks. 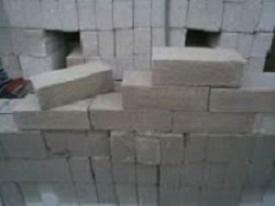 In addition to their ability to withstand repeated cycles of attack from rain and frost, good quality dense concrete bricks age harden, and throughout independently controlled laboratory experiments, the bricks passed the most rigorous freeze-thaw tests designed to establish the durability classification for masonry.